Famous for his fondness of marijuana and Cheech & Chong comic albums, Thomas B. Kin Chong was born on May 24, 1938 in Edmonton, Alberta. His father, Stanley Chong was a truck driver who had moved to Canada from China and his mother, Lorna Jean, was a waitress. The family took up residence in Calgary in a conventional neighborhood. Chong attended Crescent High School but dropped out at the age of 16, having developed a profound love and interest for music. His career started in 1960s when he started playing guitar for, “The Shades”. The band later changed its name to, “Little Daddy & The Bachelors” upon moving to Vancouver. Along with another member, Chong opened a nightclub, named, “Blue Balls”, in Vancouver, in 1963. In 1965, the group paired up with Gordy Records and released their album. The song, “Does Your Mama Know About Me” from the album, earned reached 29 on the “Billboard Hot 100”. After making two more singles, Chong was fired by his producer, Johnny Bristol, because he missed the appointment for their application of a Green Card, which would permit them to move and live in America. Shortly after this, the band split up. The famous duo of Tommy Chong and Cheech Marin gave the world several albums which the two wrote together. Two of the Cheech & Chong albums also earned nominations for “Best Comedy Album” at the Grammy Awards. Chong was also the director for four of the movies that featured the two of them while he acted in all seven of them with Marin. Unfortunately due to Marin’s desire to pursue acting as a mainstream actor, the two parted ways in 1985. For Chong, it was the beginning of a dry spell as far as his acting career was concerned. However he was offered the role of, “Leo” in “That 70s Show”, in which he played a fun-loving hippie much similar to his real self. 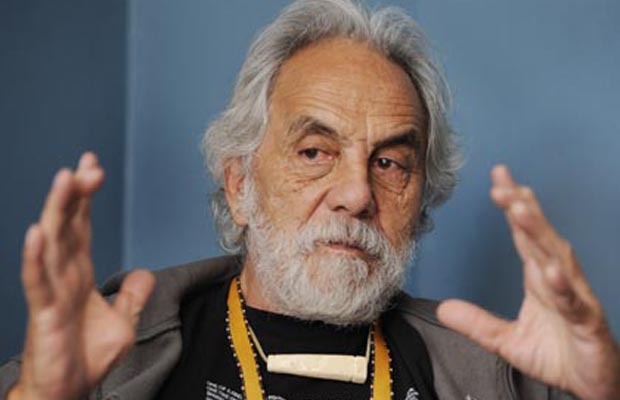 In 2004, Chong was originally supposed to be a part of, “The Marijuana-Logues” which was a Broadway show but he was forced not to by his Parole Officer. Having already been in the trouble with the law, Chong compiled and the show got cancelled. Following 2005, Josh Gilbert produced and directed a documentary featuring the life story of Chong which was showcased the Toronto International Film Festival. Chong got back together with Marin in “Cherokee Hair Tampons”, an episode of South Park. After that in 2008 the duo officially reunited and initiated a tour called, “Light Up America and Canada”. The two were also present on the “Opie and Anthony” and “The Howaes Stern Show” amongst others. In 2010, they compered WWE Raw and guest starred in one of the episodes of The Simpsons. Chong was appeared in “Franklin & Bash”, as a Judge, in 2011. He accepted to take part in “Dancing with the Stars” where he was teamed up with Peta Murgatroyd. The two made it till the semi-finals when they were finally eliminated. Chong was the oldest actor who had it that far in the show. Apart from his career in acting, Thomas Chong is an activist for the legalization of marijuana and he is also a board member of “National Organization for the Reform of Marijuana Laws”. In 2012, he announced that he had prostate cancer since three years but shortly declared that he was cured now.